Zmieniamy dane w wiedzę tworząc przewagę konkurencyjną naszych klientów. Budujemy trwałe relacje. W połączeniu z wiodącym oprogramowaniem i usługami to fundamentalne elementy sukcesu naszej firmy. SAS Institute jest światowym liderem w zakresie analityki biznesowej oraz największym niezależnym dostawcą oprogramowania Business Intelligence. Firma powstała w 1976 roku, a siedziba główna znajduje się w Cary w Karolinie Północnej (USA). SAS Institute jest firmą prywatną. Jej właścicielem i prezesem jest dr James Goodnight. Z rozwiązań SAS korzysta na świecie ponad 83 000 firm i instytucji w 148 krajach, w tym 96 przedsiębiorstw z pierwszej setki listy 2017 Fortune Global 500®. SAS® to zaawansowana technologia rozwijana od prawie 40 lat w Centrach Badawczo – Rozwojowych. Firma co roku inwestuje 25 procent dochodu w badania i rozwój oprogramowania. Rozwiązania SAS potrafią zaspokoić rosnące potrzeby przedsiębiorstw w zakresie wydobycia, porządkowania i analizowania danych w ramach całej organizacji, a także przetworzenia ich w kompletną wiedzę umożliwiającą kadrze kierowniczej trafną ocenę sytuacji i sprawne zarządzanie. Oprogramowanie SAS wspiera szerokie spektrum procesów biznesowych w takich obszarach jak: strategiczne zarządzanie przedsiębiorstwem, zarządzanie relacjami z klientem, wsparcie sprzedaży, zarządzanie finansami, zarządzanie ryzykiem, wykrywanie nadużyć i wiele innych. Analizy globalnego rynku oprogramowania potwierdzają dominację SAS Institute w obszarze Business Analytics. Według najnowszego raportu firmy IDC „Worldwide Advanced and Predictive Analytics Software 2014–2018 Forecast and 2013 Vendor Shares” udział SAS w rynku zaawansowanej analityki wynosi 35,4 % i jest to jednocześnie dwukrotnie wyższy wynik w porównaniu do najbliższego konkurenta wymienionego w zestawieniu. Oferujemy sprawdzone rozwiązania wspierające innowacyjność i zwiększające efektywność. SAS has customers in 145 countries. Pod koniec lat 60-tych w ramach grantu ogłoszonego przez Narodowy Instytut Zdrowia w USA dr James Goodnight wraz z współpracownikami z Uniwersytetu Stanowego w Karolinie Północnej - stworzył program statystyczny - Statistical Analysis System (SAS) w celu analizy danych gromadzonych przez Departament Rolnictwa. Program znalazł szerokie uniwersalne zastosowanie i na początku lat 70-tych licencje SAS® kupowały firmy komercyjne – między innymi banki, firmy ubezpieczeniowe i farmaceutyczne. 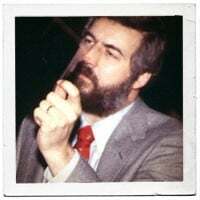 W 1976 r. dr James Goodnight odszedł z uczelni i z kilkoma współpracownikami założył SAS Institute Inc., firmę która zatrudniała początkowo 7 osób i posiadała 100 klientów. Po latach aplikacja zapoczątkowana w SAS stała się wielomodułowym systemem do analizy danych i wspierania procesów podejmowania decyzji. W latach 90-tych firma rozrosła się w globalną korporację obecną na wszystkich kontynentach. Magnetic tapes hold vast amounts of data. In 1966, there was no SAS. But there was a need for a computerized statistics program to analyze vast amounts of agricultural data collected through United States Department of Agriculture (USDA) grants. 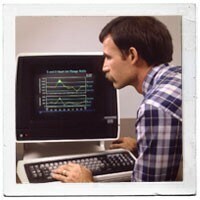 Development of such software was critically important to members of the University Statisticians Southern Experiment Stations, a consortium of eight land-grant universities that received the majority of their research funding from the USDA. The schools came together under a grant from the National Institutes of Health (NIH) to develop a general-purpose statistical software package to analyze all the agricultural data they were generating. The resulting program, the Statistical Analysis System, gave SAS both the basis for its name and its corporate beginnings. 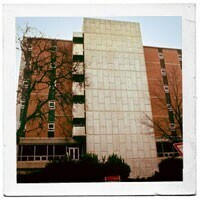 North Carolina State University, Cox Hall. North Carolina State University, located in the capital city of Raleigh, North Carolina, became the leader in the consortium, largely because it had access to a more powerful mainframe computer than did the other universities. The project eventually found a home in the Statistics Department. North Carolina State University faculty members Jim Goodnight and Jim Barr emerged as the project leaders - Barr creating the architecture and Goodnight implementing the features that sat on top of the architecture and expanded the system's capabilities. When NIH discontinued funding in 1972, members of the consortium agreed to chip in $5,000 apiece each year to allow NCSU to continue developing and maintaining the system and supporting their statistical analysis needs. 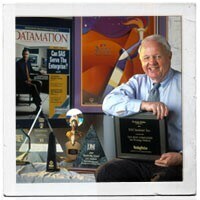 John Sall, co-founder and Executive Vice President. During the coming years, SAS software was licensed by pharmaceutical companies, insurance companies and banks, as well as by the academic community that had given birth to the project. Jane Helwig, another Statistics Department employee at NCSU, joined the project as documentation writer, and John Sall, a graduate student and programmer, rounded out the core team. 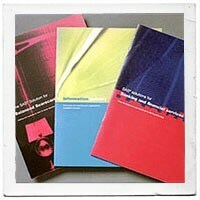 Early users guides authored by Jim Goodnight, Jim Barr, John Sall and Jane Helwig. 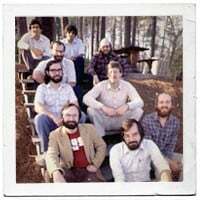 More than 300 people attended the first SAS users conference in 1976. With a growing customer base that already numbered close to 100 academic, government and corporate entities, it was evident that success as an independent operation was possible. The first SAS office at 2806 Hillsborough St. in Raleigh, NC. Goodnight, Barr, Helwig and Sall left NCSU and formed SAS Institute Inc. - a private company "devoted to the maintenance and further development of SAS." They opened offices in a building at 2806 Hillsborough Street, across from the university. 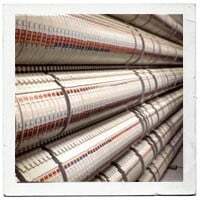 In 1976 computers filled rooms the size of small houses, and programs and data were stored on punch cards. Base SAS, consisting of about 300,000 lines of code, would produce about 150 boxes of cards - a stack more than 40 feet high. Laid end to end, the boxes of cards would stretch more than 180 feet. At the young start-up company, the business of doing business was everyone's job. To meet the company's first major challenge of viability, employees shared a variety of responsibilities, including answering technical support phone calls, teaching classes, and telemarketing and selling new service agreements. 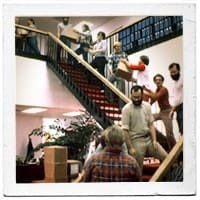 When a shipment of users manuals arrived, everyone stopped what they were doing and formed a human chain to hoist each box, person to person, to storage space on the second floor. Anyone within reach was enlisted to pack boxes to ship the documentation to users. 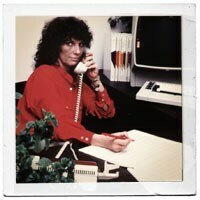 Barr, Goodnight and Sall continued writing code, Helwig continued writing documentation, and the SAS staff grew as administrative assistants, sales representatives, trainers and additional programmers and documentation specialists came on board. 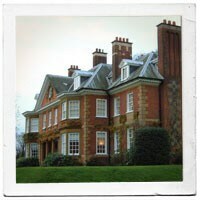 As the staff grew, so did the list of customers, and by 1978 there were 21 employees and 600 SAS customer sites. An employee providing customer support. From the beginning, SAS' primary focus was to meet customer needs. 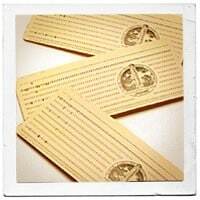 The company issued its first formal invitation for suggestions from customers in 1976 with the first SASware Ballot®. At every point of contact with customers, those first employees made a conscious effort to listen to customers and respond to the unique needs of each one. 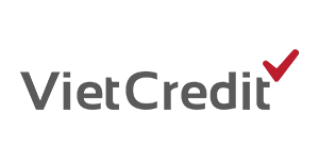 The SAS software and users community grew. In 1979, the company granted its first overseas software license to Databank of New Zealand, and SAS software was adapted to run under IBM's VM/CMS system. 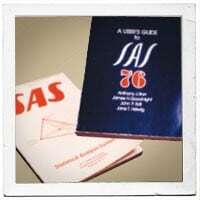 In 1980, SAS broke new ground in the software industry with the release of SAS/GRAPH® software for information presentation graphics and SAS/ETS® software for econometric and time series analysis. The company celebrated another milestone that year when it opened its first subsidiary, SAS Software Limited, in the United Kingdom. 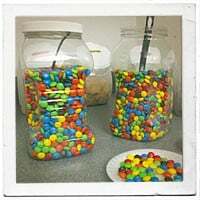 M&M's - a favorite candy in Cary. Recognizing employees for their value to the company was part of the early SAS heritage. 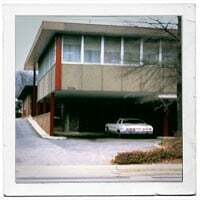 People who worked for the company during the days on Hillsborough Street tell stories of piling into Goodnight's station wagon and going down the street for pizza - with SAS picking up the tab - whenever the company added another 100 customer sites to the list. A flexible work environment and some of the "trademarks" of the employee-friendly SAS culture - including M&M's and breakfast goodies - were born in the first months of the company's existence. The first company newsletter - in the form of typewritten sheets of paper tacked to a bulletin board - was written by Sall and published in 1978. 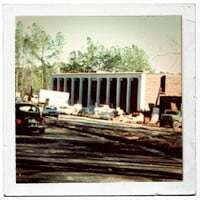 One of the first buildings at the new headquarters in Cary, 1980. 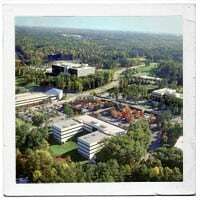 By 1980, the growing company had expanded beyond the capacity of the Hillsborough Street building, and SAS, with its staff of 20, moved to the site of its present headquarters offices just outside Raleigh in Cary, North Carolina. 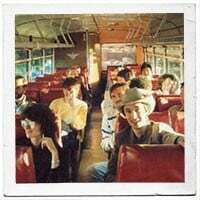 After the annual users conference in 1987, employees from around the world tour SAS world headquarters by bus. The growth of SAS in the next decade was phenomenal: Inc. magazine named SAS one of the fastest-growing companies in America for five consecutive years. The new headquarters campus - huge compared to the Hillsborough Street location - grew from one building with offices for 50 employees to 18 buildings, including a training center, publications warehouse and video studio. SAS also expanded its geographic boundaries, opening new offices on four continents and its first US regional sales offices. By the end of the decade, SAS had nearly 1,500 employees worldwide. 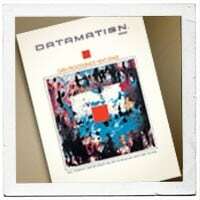 First SAS advertisement appears in Datamation magazine. Not only was SAS growing, the entire computer hardware and software industry was changing, with new operating systems and platforms placing new demands on software developers. 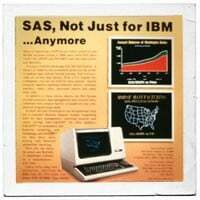 One of the first steps for SAS was to adapt the software to operate on IBM's Disk Operating System (DOS). But that was just the beginning of what would become a major effort to make the software system compatible with a wide range of operating systems. 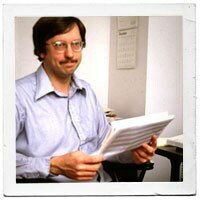 In the early 1980s, the company completely rewrote a large part of its software code to give it more portability, and the door to mini-computers was opened. 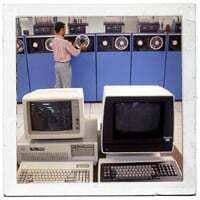 Personal computers – a new alternative to running SAS on the mainframe. When personal computers (PCs) came out in the mid '80s, users wanted to run SAS on that new, highly accessible hardware system. With several million lines of code, SAS would stretch the capacity of almost any PC virtually to its limits. So SAS was rewritten once again, this time in the popular C language, abandoning the IBM-only PL/1 language. Once again, SAS broke new ground in the software industry, creating a software system that would run across all platforms - the multivendor architecture that the company is known for today. Later on, the company would introduce a micro-to-mainframe link, allowing customers to link data stored on mainframes to the programs running on their PCs. 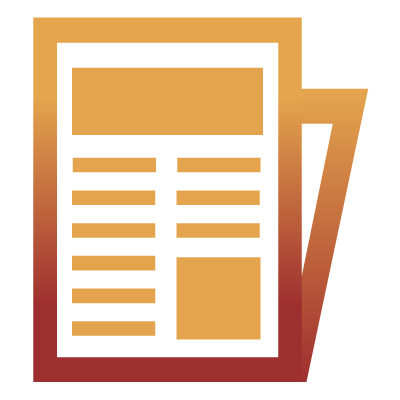 SAS software also was enhanced from the basic data management and statistics approach that displayed results in a very text- and number-centric format. Now, SAS adopted a more user-friendly approach that mirrored the graphical user interfaces of the Macintosh and Windows environments. SAS software included full-screen spreadsheet capabilities, enhanced graphics and powerful data modeling tools to visualize analytical results.  Late in the decade, the company also released JMP®, its first packaged statistical program for the increasingly popular Macintosh computer. 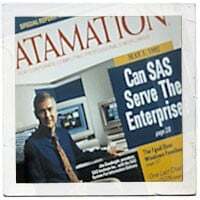 SAS CEO, Jim Goodnight, on the cover of Datamation magazine. The software community recognized SAS for technological excellence as awards came in from Datamation, Software News, Software Business Review, InformationWeek and other industry publications. Meanwhile, customers found that SAS - with its growing analytic capabilities and its ability to run on any hardware platform they had in front of them - was critical to their success. SAS was moving toward the frontier of decision support. The company was in a unique position to give customers the ability to make sense out of mountains of data and make decisions based on those discoveries, bringing them the competitive advantage they were seeking. Work-life balance and a child-friendly office environment. For SAS, breaking new ground was not limited to technology. Faced with the prospect of losing some valuable programmers who were hesitant to return to work following maternity leave, the company opened the first on-site childcare center in the basement of one of its world headquarters buildings in 1981. 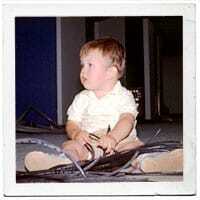 This was at a time when corporate-sponsored daycare was almost unheard of. A recreation and fitness center, health care center and a café serving gourmet meals followed the opening of the childcare facility, further enhancing a culture that had always been responsive to employees' personal as well as professional needs. 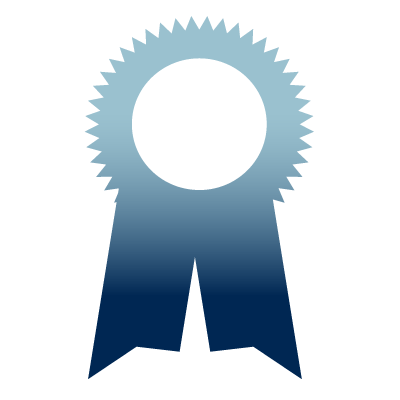 These services garnered SAS the first of many awards as a great place to work when Health and Living magazine named SAS to its list of the "Healthiest Companies to Work For" in the US. 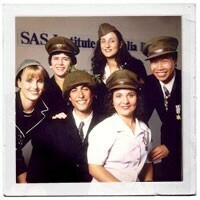 Members of SAS Australia pose in Sydney during an employee training session, “Boot Camp,” in 1997. During the 1990s, SAS would grow its work force to more than 7,000 people around the world, with employees on every continent, in every major US city and in the capitals of international commerce all over the planet. Sales efforts moved away from telemarketing to a direct sales force with a focus on geographic territories. The company introduced its first vertical sales group with the release of SAS/PH-Clinical® software for the pharmaceutical industry. And the demand for packaged solutions, designed to address specific business needs across industries, led to the establishment of the Business Solutions division, responsible for solutions such as SAS Financial Management and SAS Human Capital Management (formerly named CFO Vision® and HR Vision®). 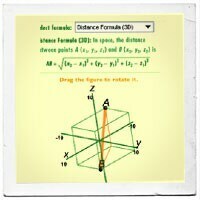 A multimedia tool designed for students of Euclidean geometry. The company moved into new territory by developing high-quality online curriculum resources for the classroom. 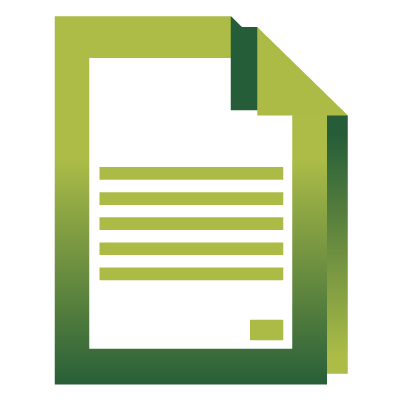 SAS® Curriculum Pathways® online interactive resources focus on materials difficult to convey through conventional teaching methods. The tools cover subjects through coursework that you can “do, see and listen to,” providing information and encouraging insights in ways that textbooks cannot. The software enables teachers to keep students engaged and learning while fostering technology use in the classroom. 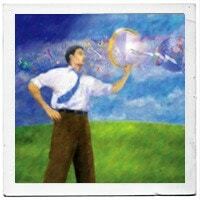 A graphic for the "Reinventing the Future of IT" article on the SAS internal Web site, 1997. Most importantly, SAS set itself apart from the pack as a provider of decision-support software with expanded capabilities in areas such as guided data analysis and clinical trials analysis and reporting. The company introduced software for building customized executive information systems (EIS) and launched its Rapid Warehousing Program. As the Internet became a more vital tool for the business world, the demand for Web-enabled software grew. As a result, SAS brought Web-enabled capabilities to its software, allowing customers to use SAS solutions to become even more competitive in a rapidly growing business environment. This illustration visually depicts the concept of e-intelligence. With its powerful data mining capabilities, SAS was in a position to take the lead in an area that was more in demand than virtually any other business software offering available - customer relationship management. Now Web-enabled with new e-intelligence solutions, SAS continued to stay at the cutting edge of the business software industry. Recognition for having quality software products continued to come from many sources around the world, including Datamation, Data Warehousing World, Software Magazine, ComputerWorld Brazil and PC Week, along with the prestigious French analyst association Yphise, and Australia's Corporate Research Foundation. In addition, the US Food and Drug Administration recognized the integrity of SAS software by selecting SAS technology as the standard for new drug applications. SAS continued to be recognized as a great place to work, receiving awards from FORTUNE, Working Mother, BusinessWeek and Mother Jones magazines, along with prominent print and broadcast media coverage in the United States, Europe and Australia. Employees celebrate with a piece of 25th anniversary cake. SAS celebrated its 25th anniversary in 2001, right on the heels of the turn of the millennium and the Y2K frenzy that seemed to engulf the world of technology. With a new logo and tagline - THE POWER TO KNOW® - in place, SAS set off to increase its visibility and global recognition. SAS named the best company to work for in 2010 by FORTUNE. SAS Australia was the first SAS office outside the United States to be recognized as a great place to work, beginning in 1999. Since then, the list has expanded to include SAS offices in the United Kingdom, Mexico, Portugal, Finland, China, The Netherlands, Belgium, Norway and Sweden – the latter three named the No. 1 best place to work in 2010 and in years past. In the United States, SAS has been named one of FORTUNE magazine's "100 Best Companies to Work For" every year since 1998, being named No. 1 on the list in 2010 and 2011. 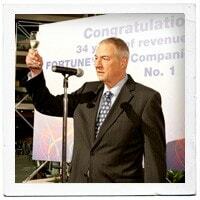 This consistent performance earned the company a place as one of 22 members of the "Hall of Fame," introduced in 2005. 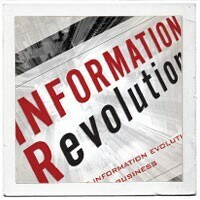 SAS introduced the Information Evolution Model (IEM) in 2003, which was followed by the 2006 publication of Information Revolution, by SAS' Jim Davis, Gloria Miller and Allan Russell. The IEM describes how well a company manages and utilizes information as a strategic corporate asset. By understanding and following the IEM, companies can gain insight to better align strategies and identify critical relationships and gaps along four key company dimensions: people, process, culture and infrastructure. The book has been translated into Italian, Japanese and Spanish, with a Russian version in the works, and the company continues to use the model to open conversations with executive audiences. A SAS and Marketmax display at a tradeshow. World and market events drove new developments in the company's software products. The governance and regulatory compliance requirements set forth in Basel II in Europe and the USA Patriot Act led to a high demand for software products that could help financial institutions manage risk and combat money laundering and fraud. SAS answered those needs with solutions that achieved industry and analyst recognition, and further solidified SAS' position as a leading provider of solutions for the financial sector. 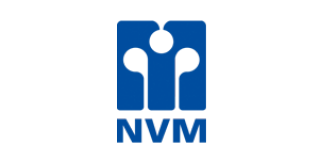 The company showed new strength in its outreach to executives through the acquisition of the knowledge portal BetterManagement.com in 2002. 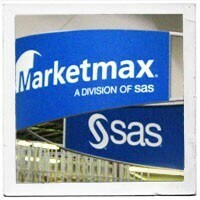 In the retail sector, SAS acquired Marketmax, and in risk management, it acquired Risk Advisory – both in 2003. 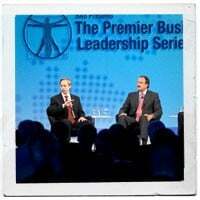 Executive roundtable at The Premier Business Leadership Series, London. SAS effectively targets users and executives through The Premier Business Leadership Series, and the annual data mining and forecasting series (M2000 and F2000) conferences, along with numerous executive conferences throughout the world and industry sectors. The largest annual users conference, SAS Global Forum (formerly known as SAS Users Group International) continued to draw thousands of users; in 2007, the name of the annual conference was changed to SAS Global Forum to better reflect the diverse nature of the conference and its attendees. 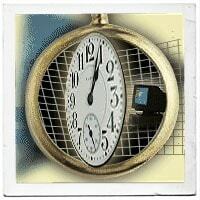 The year 2007 ushered in a new era of globalization for SAS. With operations centralized at SAS world headquarters in Cary, North Carolina, the company looked for new ways to have consistent, global programs in areas such as sales strategy, education, publications, marketing, communications and more. Global councils and summits formed in many functional areas of the company, creating opportunities for regular communication and collaboration that established SAS as a single, global entity. 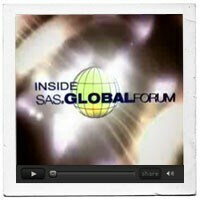 Blogs and videos give customers a new perspective and voice at SAS Global Forum. SAS embraces the evolving media world by participating in continuous, online dialogue in respective communities. Employees have been blogging since 2005, and the first external company blog appeared in 2007 (from SAS UK). 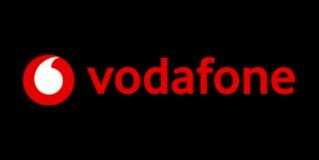 By early 2008 the company had more than 300 internal bloggers, including nearly 20 executives. Event-based blogging appeared on the scene with the SAS Global Forum 2007 blog. An external blog, sascom® voices, was promoted for the first time during that conference, as was a new external online community, sasCommunity.org. Podcasts and Webcasts are available daily, and SAS has its own channel on YouTube, the popular video-sharing Web site. The company is looking at ways to delve further into the rapidly expanding world of social media. 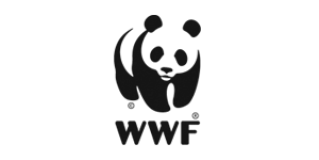 Sustainability has remained a top priority with SAS precisely because of its potential to deliver tremendous business value. It’s not just the right thing to do; it’s the smart thing to do. 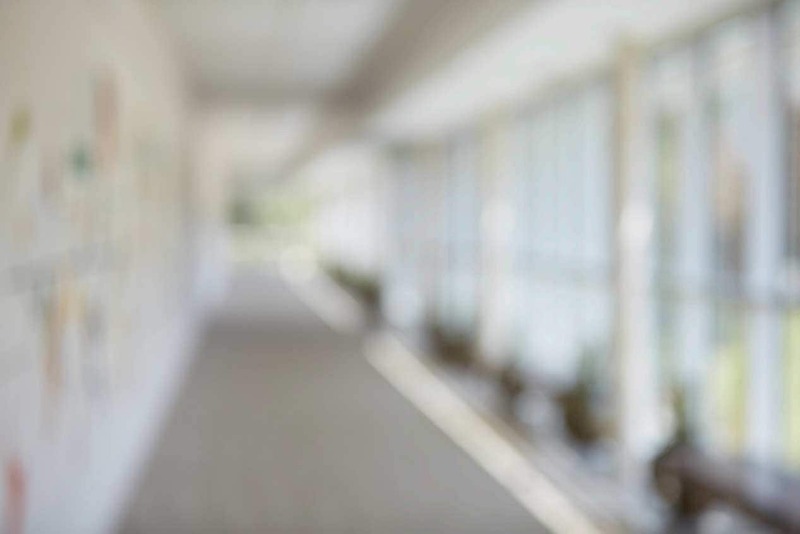 In addition to employee engagement practices, from health care to expanded job opportunities, SAS has made great progress in reducing its environmental footprint. 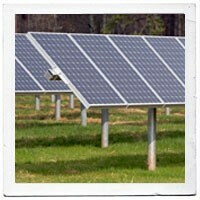 For example, a 1-megawatt solar array at SAS global headquarters is providing clean, renewable energy to the public energy grid for the local utility. Several construction projects at SAS offices around the world utilize low-environmental-impact design principles. Notably, SAS is pursuing Leadership in Energy and Environmental Design (LEED) certification for a new conference facility and a new cloud computing facility at its global headquarters. For more information on SAS and sustainability, check out the Corporate Social Responsibility Report.